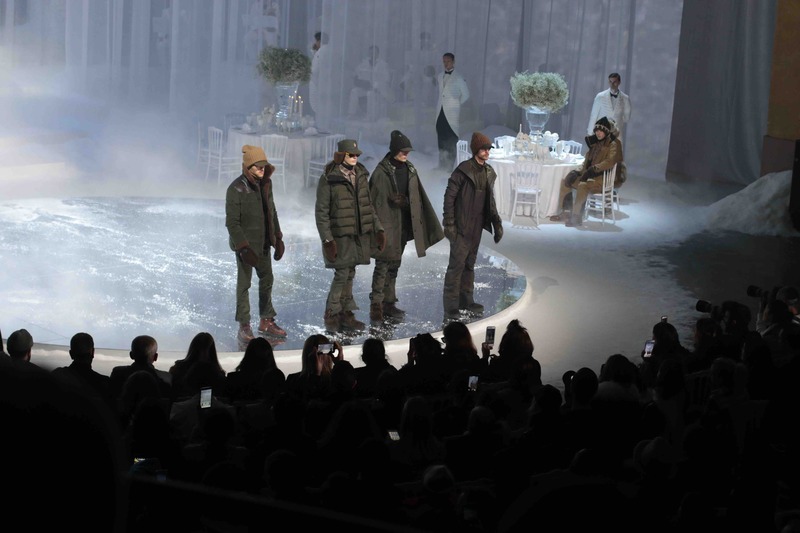 Moncler Grenoble Fall-Winter 2017 fashion show was definitely one of my most fascinating show during the entire fashion month. 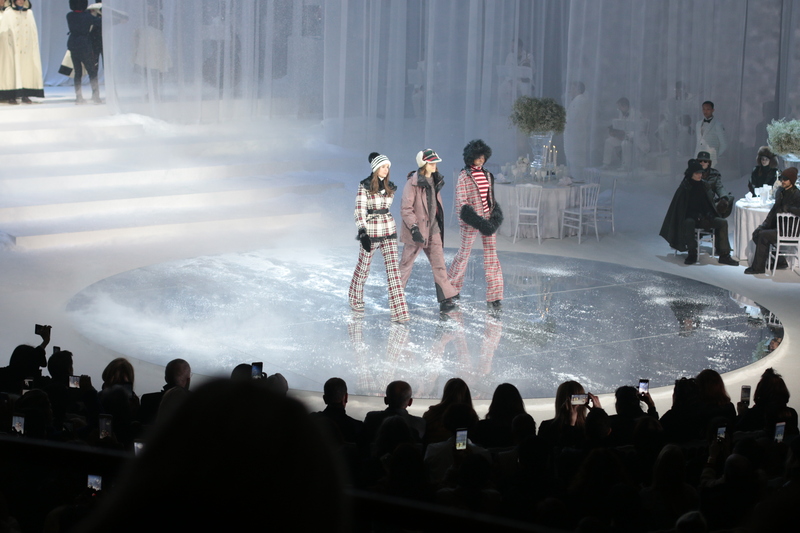 An amazing set, with the gracious chandeliers, waltzing models in white capes, has completely respected the mood of the brand itself. 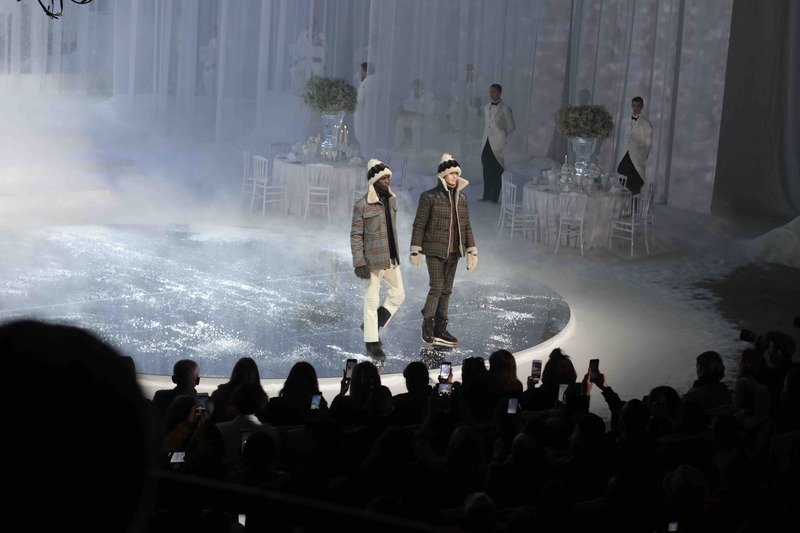 An entire winter wonderland has been created on stage. 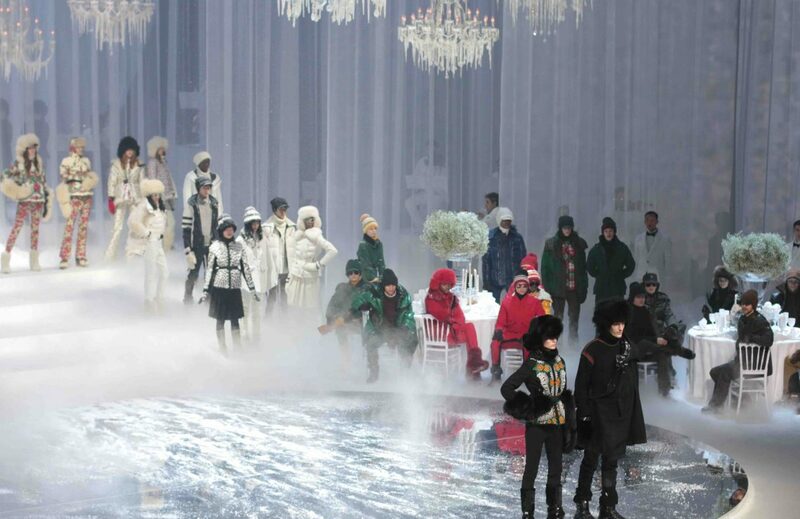 It seemed being a guest of a Moncler version of the iconic Viennese ball. The collection perfectly represents both the ski collection and the après-ski collection confirming the chic attitude of the skiers. Fabrics vary a lot, starting with the tech ones, suitable for sports, especially winter sports that absolutely need the protection of cold weather and resistance to water. Then comes the wool of course: it keeps the warmth along with the fur and velvet. The color palette is diverse; from brown, forest green to the rose tones in the women’s collection. I liked the jackets with shearling collar, all kind of parkas that were present both in the men’s and women’s collection. 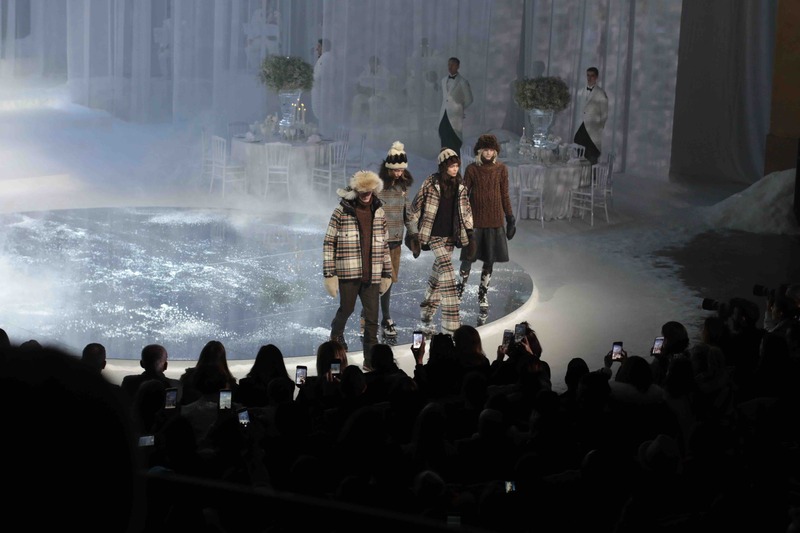 Tartan pattern is pretty dominant in this collection and I noticed a great mixture of the materials in one piece, such as some furry details present on many different coats, parkas and jackets. 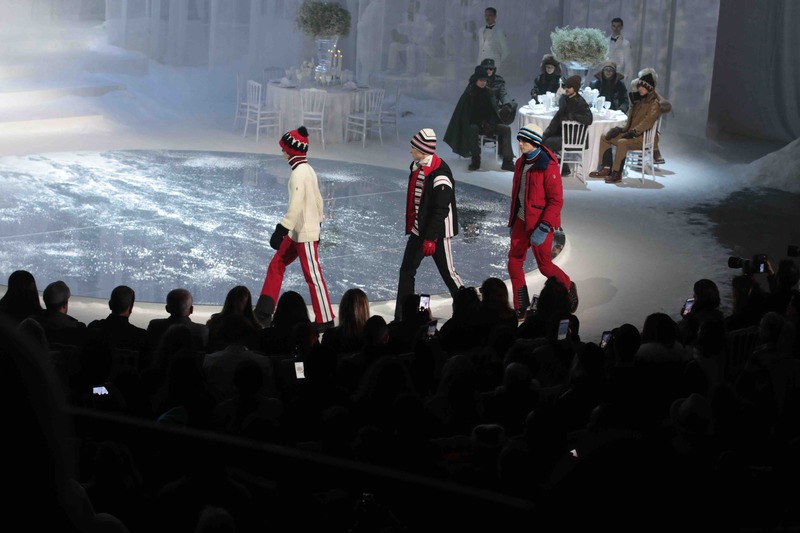 Accessories, such as beanies and other hats follow the mood of the collection and the style. I also noticed an important tribute to the French heritage of the brand, where colors of the flag represent the color of these pieces.